Delight your senses with the Lancome La Vie Est Belle En Rose L'Eau de Toilette Spray, a sultry sweet floral fragrance for women. An ode to happiness, La Vie Est Belle En Rose is an invitation to look at things differently. Like a filter of optimism on life and an encouragement to always look on the brighter side, this addictive Eau de Toilette has an infectious charm that will radiate onto the wearer in a burst of vibrancy, and is sure to captivate from the very start. A vibrant rendition, this opus instantly awakens with the familiar zesty top, delicately enhanced by a flurry of red fruits. In the heart, a floral fresh, petaly and luminous signature of peony and roses beautifully intertwine, before a warming base of sandalwood oil and musk take centre stage. What better way to treat yourself than to something pretty and pink!? 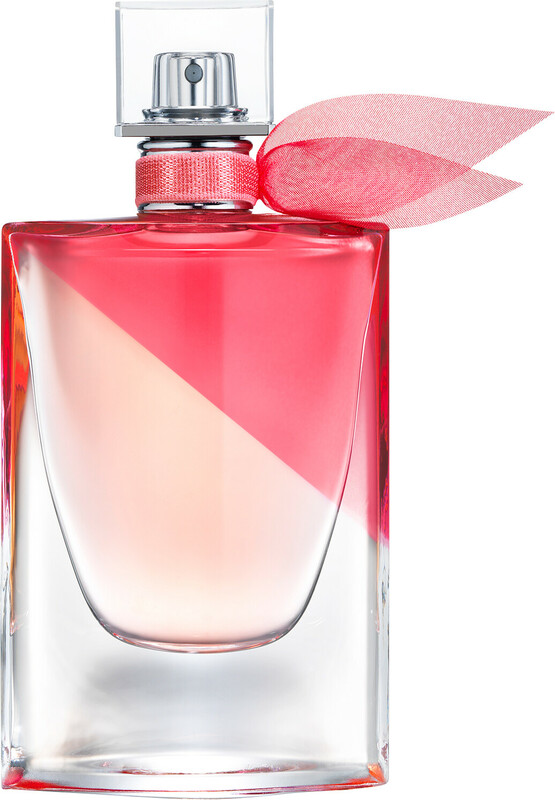 Here at Escentual, we’re loving the way that the iconic bottle of the La Vie Est Belle L'Eau de Toilette has been made pink for this rose rendition to see life through rose-coloured glasses and its famous wings are coloured in pink as an ode to celebration and life. It’s a yes from us!